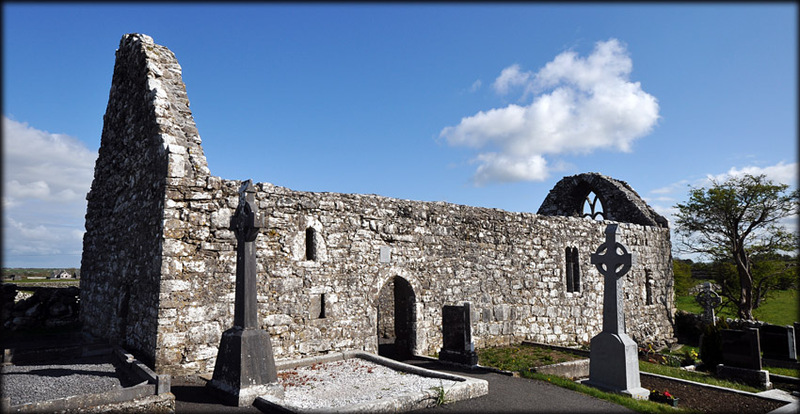 On our way to Ross Errilly Friary we were delighted to come across this early medieval church in Ower townland. St Fursa is said to have founded a monastery here in the 7th century. This church is the only remnant of the monastery. It dates to around the 12th century but some of the windows may have survived from an earlier church. The rectangular church is 22.5 metres long and over 7 metres wide. The main features are the wonderful array of windows and the trabeate doorway. 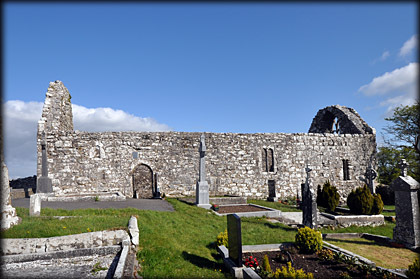 From the north wall there is a gorgeous view of Ross Errilly Friary. Situated: From Headford travel west on the Ellagh Road. The Church is 2.5 kilometres down this road on the northern side. Discovery Map 45: M 2397 4702. Last visit April 2012. Photos: Jim Dempsey and Deb Snelson.